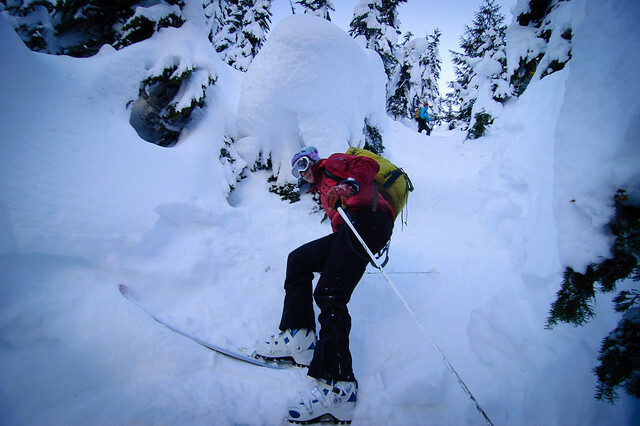 A great day of skiing in the Saxifrage-Cassiope area, accessed from North Joffre Creek off the Duffey Lake road. This was my third time in this area, and I was surprised by how easy the winter access was. I've approached this area once before from this direction, but it was in May, and we thrashed our way up through thick slider alder at the bottom of the big avalanche path. And then there was another time where we approached from the west via Spetch Creek, a slightly longer route. 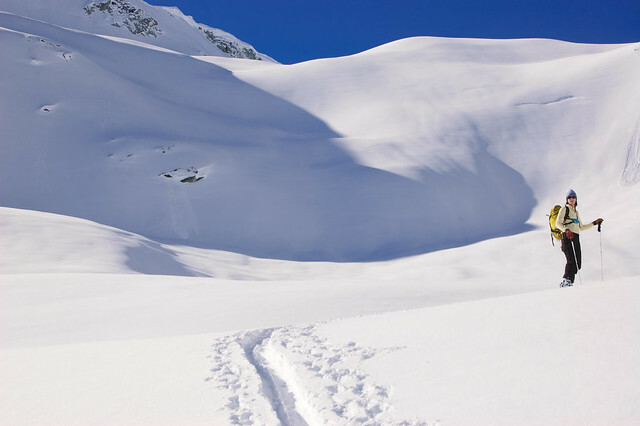 From the plowed parking lot, we skied up the road on the west side of North Joffre Creek, and then across the snow covered marsh. A few friends came skiing here last May, when the marsh wasn't snow covered, and returned home with some great skiing shots. 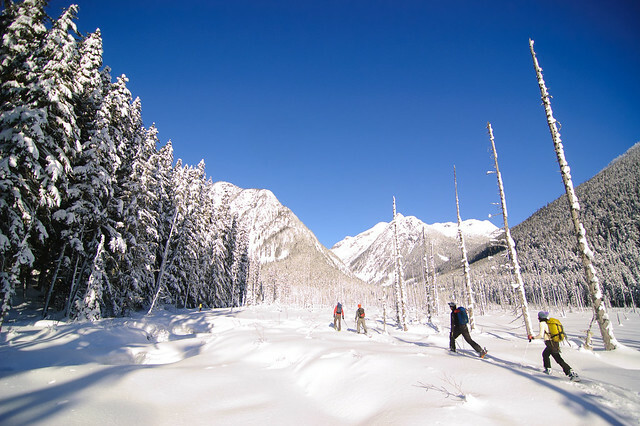 I recommend this approach for mid-winter, and then the Spetch Creek approach in the spring when you can drive up that road. From the end of the marsh, a steady climb up a south facing avalanche path, and then a short section of trees, leaves you at the lake east of Cassiope Peak. This is a great spot to camp. 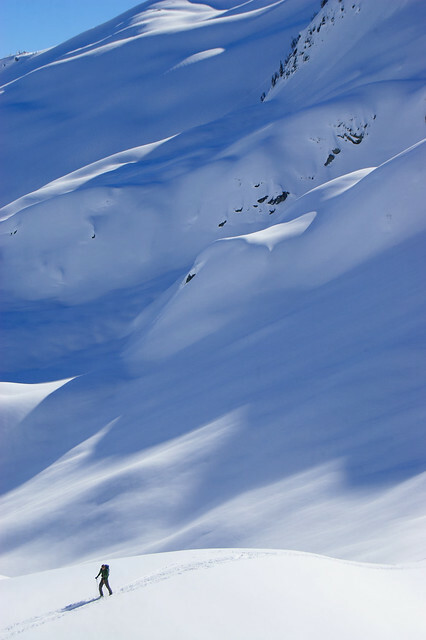 We skied the slope at the top left of the photo. 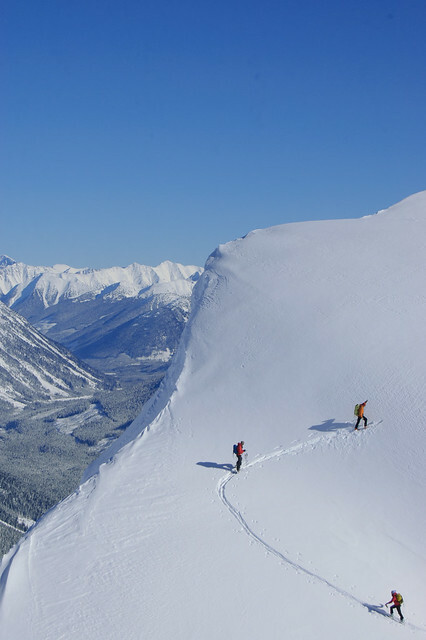 There is plenty of other terrain to ski, but you might have to share it with the heliskiers. The last time I was here, we were skiing down off the Saxifrage-Cassiope col, and the helicopter dropped off a group of snowboarders directly above us. Sarah on the climb up to the Saxifrage-Cassiope col. The sunshine felt spring like up here. 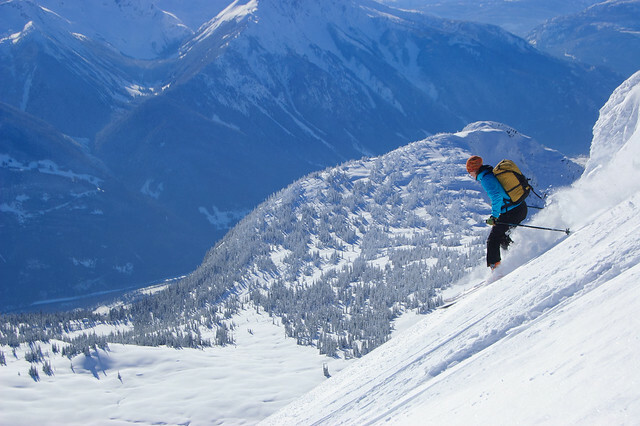 From the col, we skied up to the top of Cassiope Peak, giving us great views of the surrounding mountains. It was quite pleasant at the summit, plenty of sunshine and little wind. I think this was my third time up here, I need to start going to other places. 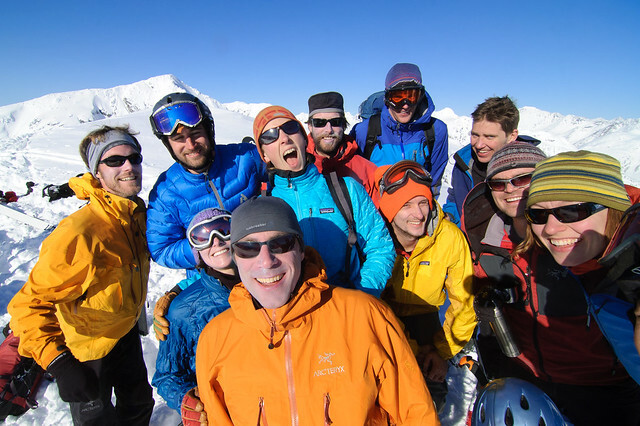 Powder, sunshine, and friends. 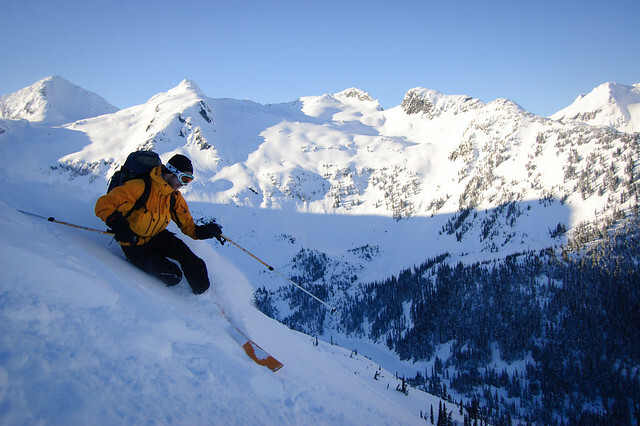 It was a pretty good day to be a backcountry skier in the Coast Mountains. I forgot to include myself in the group shot though. 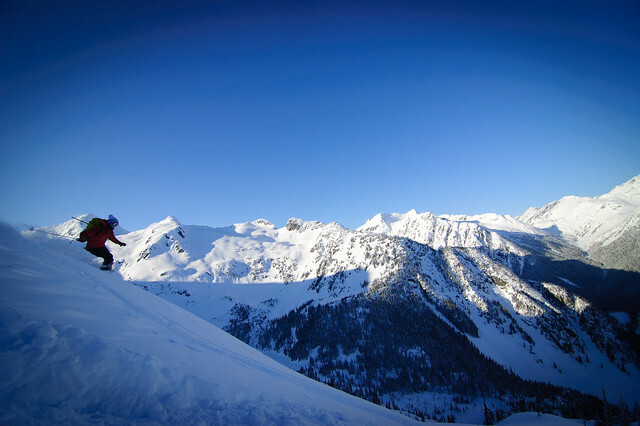 Susie skiing off Cassiope Peak, with Mount Currie in the background and Gravell Creek on the left. 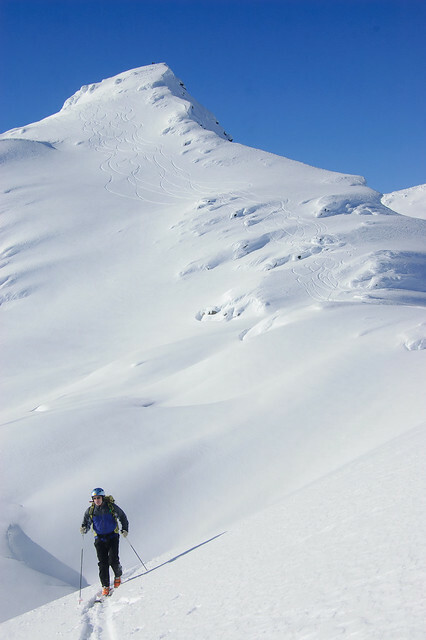 After a long conference at the top, we skied off the summit, and then contoured around the south side of the peak east of Cassiope to access the north facing runs. 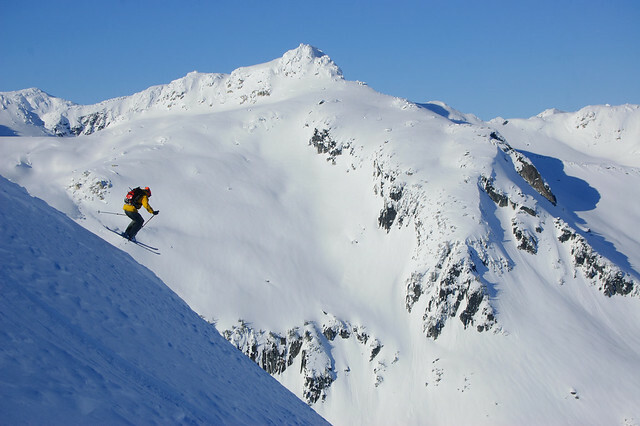 On the way down, Ned went first, and accidentally jumped off one of the rimed covered rocks in the centre of the photo. Ned in action. The ridge tops were slightly windaffected, but the snow improved very soon. 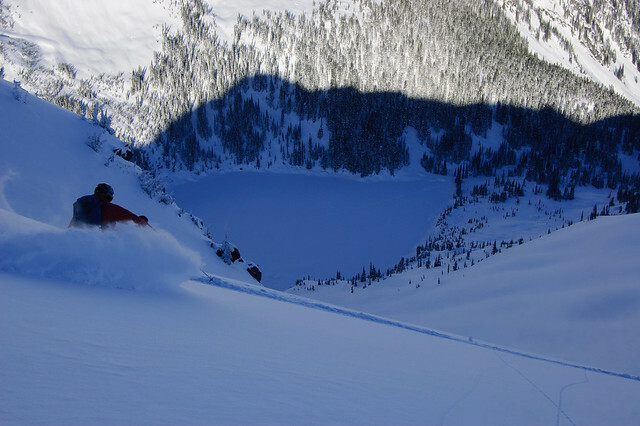 Joel enjoying some great north facing powder. Shadow and light. 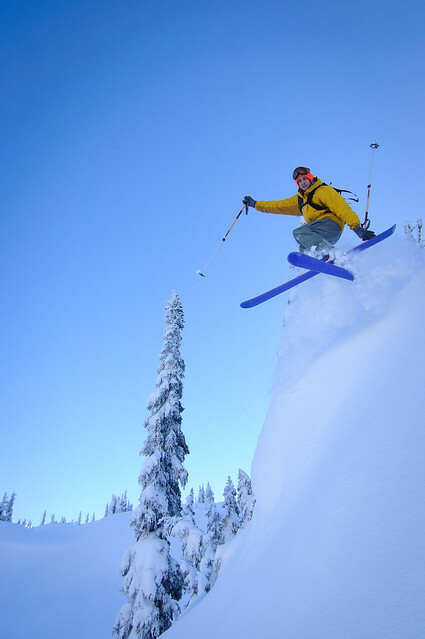 It's hard to get good skiing photos when skiing north facing slopes. Sarah skiing down a second run to the east. This photo is for Stu's mom. Ned looking good off a jump. 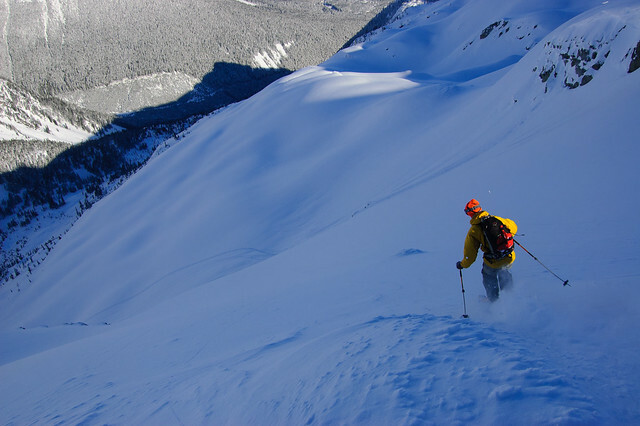 I should just change the name of this blog to "RichSo's Blog about Ned"
We skied down a northeast facing avalanche chute to bypass the lake and main avalanche path. It was a great exit, until the end where we had to sideslip our way down through a steep section of trees. At least I can add this part of the day to the map wall. Hey thanks John! I'm glad people actually read this thing!